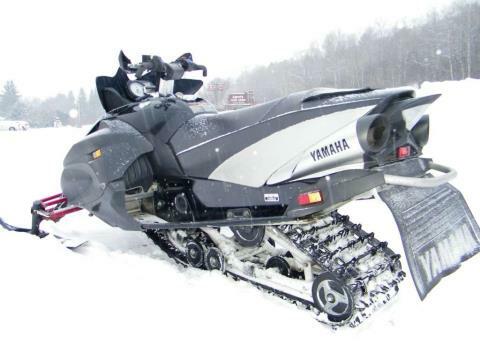 HIGH HP TURBO SLED with new track!!! Slip comfortably into the Apex GT cockpit and prepare to own the trail with handlebars set just right and rider-forward positioning. More throttle. The fuel-injected Genesis™ 150FI engine snaps to attention instantly. Fade-resistant piggyback shocks keep the skis biting. Your body sets as you enter the turn. The Apex GT reads you. 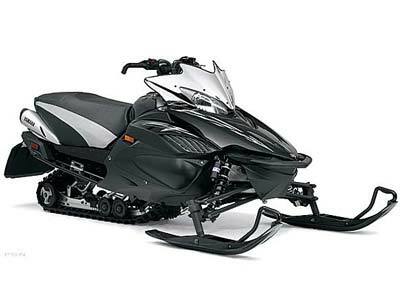 The Deltabox II frame keeps the sled torsionally stiff and secure. You are on the throttle, coming off the turn. The trail switches out onto the straights. The Öhlins® Mono Shock™ EC rear suspension and GYT-R™ piggyback reservoir, dual-clicker front shocks, eat the stutter bumps and rides flat over the gnarled moguls. Apex GT...this winter, own the trail. Öhlins® Mono Shock™ EC rear suspensionThe Öhlins® Mono Shock™ EC rear suspension is highlighted by a push-button activated, electronically-controlled Öhlins® shock. Owners can access the tuning function and readout by pressing the “Mode” button on the gauge pod. Once in suspension mode, the shock is adjusted by toggling the handgrip warmer button on the left side. While in suspension mode, the gauge will display the adjustment level, too. While the Öhlins® Mono Shock™ EC rear suspension delivers full range compression adjustability from handlebar, the rebound is adjustable via a clicker on the shock body. The suspension allows 11.7 inches of vertical travel. Tall trail seatThe seat on the Apex GT is designed to be tall and lightweight. The seat uses super-lightweight, yet firm foam for its height. In addition, the tall lightweight seat includes a new storage trunk in the rear, with expanded capacity and accessibility. Wide, hooked handlebarsTo match the tall and forward position, a new handlebar is standard fare on the Apex GT. The new design incorporates aftermarket-style, keyed slot hooks on both sides to eliminate unwanted hook rotation. The hooks have the same grip material as the main bar section, for consistent control, regardless of hand position. Digital gauge with more data featuresThe Apex GT features a new digital gauge cluster that displays even more data. New readouts include dual trip meters and a clock! The digital gauge serves as a readout and control center for the Öhlins® Mono Shock™ EC suspension. Owners can access the tuning function and readout by pressing the “Mode” button on the gauge pod. Once in suspension mode, the shock is adjusted by toggling the handgrip warmer button on the left side. While in suspension mode, the gauge will display the adjustment level, too. In addition to the new functions, the gauge has been totally restyled to match the aggressive lines of the Apex body work. Removable side panelsIn order to allow easy access to the engine and drivetrain components on the Apex GT, the side panels of the bellypan are removable. The chassis’ compact design only allows access to the airbox and storage compartment from the hood area. As a result, the side panels are mounted with Dzus-style, quick-connect fasteners to give consumers and mechanics fast and broad access to the engine, clutches and brake systems. 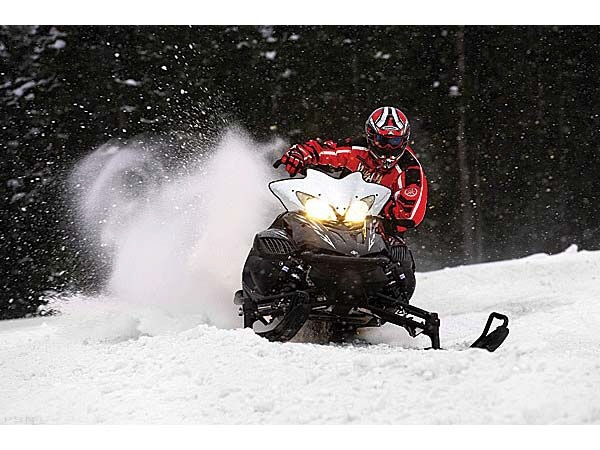 Second generation front geometryThe new second generation geometry on the front end of the Apex GT uses shorter spindles and revised A-arms and shock mount locations to enhance the sled’s stability in tight cornering and high-speed sweeper curves. The second generation geometry maintains the same 9 inches of vertical travel, but widens the ski stance from 42.1 to 42.7 inches. In addition, the new configuration maintains spindle castor at 23 degrees throughout the travel stroke. This gives the sled consistent and predictable steering regardless of the suspension’s activity. GYT-R™ piggyback revervoir dual-clicker front shocksThe GYT-R™ Premium piggyback shocks on the Apex GT’s front suspension offer 20 clicks of compression AND 20 clicks of rebound adjustability for maximum tuning ability. The piggyback reservoir offers increased fade resistance to the shock. Integrated airbox/ small hooda part of the hood design. The upper element, closest to the headlight, is comprised of the silencer cover for the airbox. This design feature allows for a significantly smaller hood piece, which reduces weight. Magnesium chaincaseThe Apex GT features a lightweight magnesium chaincase. The exotic material cuts a pound from the previously-used aluminum chaincase on 2005 RX-1 models. Lightweight hydraulic brake systemThe lightweight 4-piston brake system delivers solid stopping power without fading, even in high-use applications. It also incorporates a new, lightweight, double-finned, self-cooling brake disc. Genesis™ 150FIThe all-new Genesis™ 150FI engine is an all-new design intended to increase power and reduce weight. It cranks out about eight additional horsepower, to hit 150hp class performance. 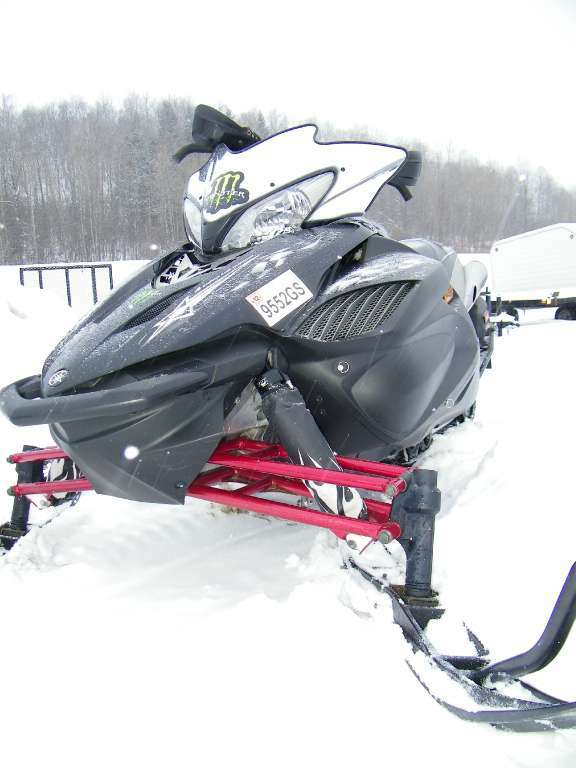 The unique fuel injection system also delivers quicker, crisper throttle response and as a bonus it runs significantly cleaner than any snowmobile engine on the market today. It also weighs 7 pounds less than the Genesis™ Extreme! Deltabox™ II with rider-forward ergosThe primary design objective of the Deltabox™ II chassis was to create a rider-forward posture. The new ergonomic treatment is achieved by moving the handlebars forward by 6 inches and raising them by 4 inches. The seat is also roughly 2.5 inches taller and the seated position is 6 inches forward of the 2005 RX-1 seat. With this positioning, the rider can go from sitting to standing and back again easily and comfortably. 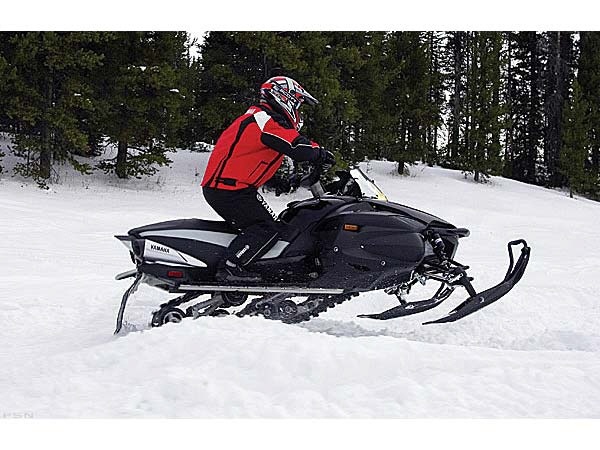 It also further centralizes the combined mass of sled and driver, thanks to the new CF die cast steering gate. Fuel injection systemMore than just a bolt-on part of the Genesis™ 150FI, the fuel injection system required a full engine redesign. 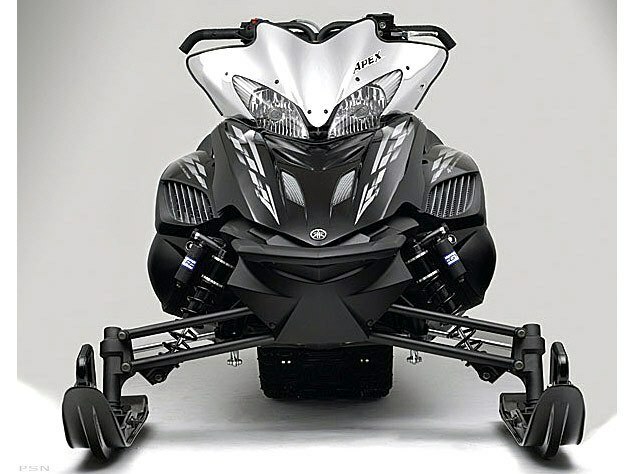 The low-pressure system uses an injector and butterfly valve throttle body to aid in delivering outrageously-crisp throttle response, 150 horsepower production and class-leading fuel economy. New exhaustThe exhaust pipes coming out of the Genesis™ 150FI engine are configured in a 4-1-2 design. The new exhaust, featuring titanium head pipes, adds to the engine’s higher output and also reduces weight. 2.2 pound lighter forged crankshaftThe new forged crankshaft in the Genesis™ 150FI is 2.2 pounds lighter than the original in the Genesis™ Extreme. This is a large contributing factor in the Apex GT’s razor-sharp throttle response. 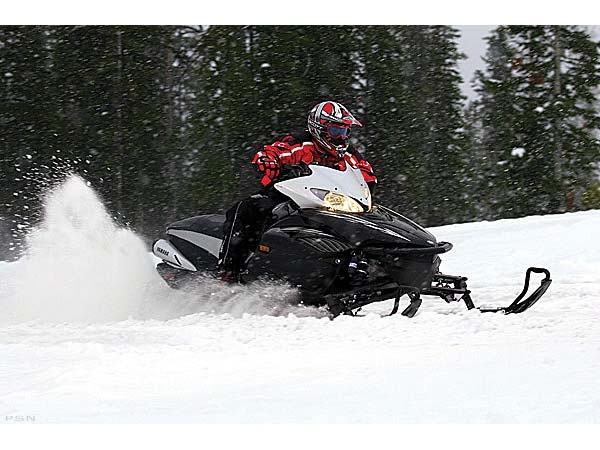 RadiatorIn order to generate consistently-strong engine performance in any condition, all Genesis™ 150FI sleds feature a small radiator and electric fan assembly on the right hand side of the engine cab. New highly-adjustable clutch weightThe new clutch weight developed for the Genesis™ 150FI engine is highly adjustable and heavier to accommodate the higher power output of the new engine.